Post by 12 Monkeys Syfy. 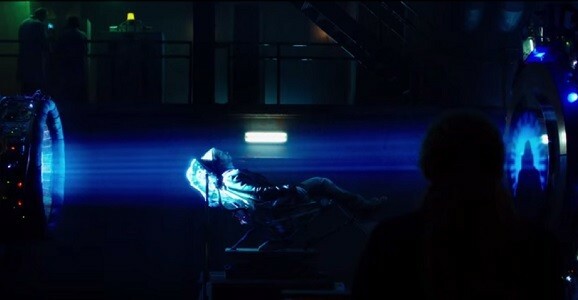 Syfy’s 12 Monkeys is now less than two weeks away, and the network is doing their damndest to hype up their latest foray into creating original content. We recently explored some of the ways the show will be different from Terry Gilliam’s 1995 film, and now there’s this short video tease, as well as some new images that shed light on the world the series tries to create. This video doesn’t really do much besides hint at some action and dangle the idea of fate out there for the audience. Like the film, the premise revolves around a future world decimated by a vicious plague, where the survivors send James Cole (Aaron Stanford) back in time on a mission to prevent this pandemic, thus saving the human race. It’s been 18 years since Terry Gilliam’s 12 Monkeys first entered our lives and warped our brains with its plague of madness. The film’s storyline is getting almost completely uprooted for the upcoming Syfy series, and many of us have been wondering just how close the two projects will be. As it turns out, not very close at all. 12 Monkeys showrunner Natalie Chaidez recently spoke with EW and ran the gamut of comparative properties between the film and TV show. Beyond the actors, writers, and directors, there are quite a few more changes coming our way. Over the next few months, Syfy is definitely upping their game. Next week you have the big event miniseries Ascension kicking off, Helix returns to your TV screen early next year, and on January 16, you’ll finally get a look at their adaptation of 12 Monkeys. To hype that particular series, the network has released this new featurette to give you a better idea of the world you’re walking into. Like Terry Gilliam’s 1995 time travel film, this 12 Monkeys revolves around James Cole (Aaron Stanford), a man from the future, sent back in time in order to stop a plague that wipes out most of the human race and forces the remnants to struggle for survival. On his journey, he meets Dr. Cassandra Railly (Amanda Schull), and enlists her help to save the human race from a dismal, post-apocalyptic future. As you probably guessed, there also appears to be some romance in the air. Syfy’s push back into producing promising original genre content keeps right on rolling. Their zombie series Z Nation is shuffling along, their monster/plague drama Helix is coming back for new season next month, and their event miniseries Ascension blasts off a week from today on December 15. 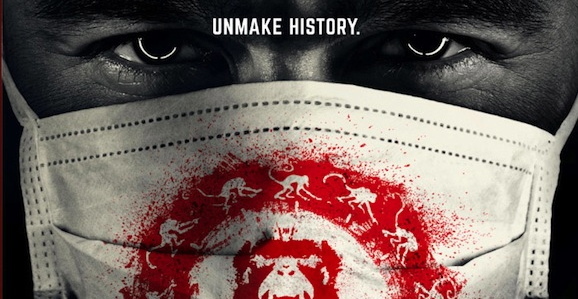 Another show that we’re curious to see, their remake of 12 Monkeys, also hits soon, and the network has unveiled a new poster and some hints at how the new series is going to be different from the original. Based on Terry Gilliam’s buggy 1995 time travel thriller, which itself is “inspired by” the 1962 experimental French short La Jetee, the details, at least on the surface, are fairly similar. The action follows a man named James Cole (Aaron Stanford) who is sent back in time in order to stop the spread of a vicious plague that decimates the human population and forces the survivors to live underground. When Syfy first announced that they were bringing a new version of Terry Gilliam’s 12 Monkeys to the small screen, I assumed that I was just having a delusion while being kept inside the mental institution where Bruce Willis and Brad Pitt met. The new trailer below doesn’t excel at distancing itself from the film, but heaps on enough dramatic music, quick edits, and Zeljko Ivanek to at least be independently intense on first sight. Check it out.